The Video Data Bank is delighted to announce our participation at the National Media Market & Conference (NMM), held October 7th-11th in Indianapolis! NMM is the world’s only dedicated event for library media acquisitions and media professionals. The National Media Market & Conference highlights the best media content and services for media libraries, and provides professional development to address constantly evolving issues for content acquisition, access, and promotion. If you are planning on attending the conference, come see us in Suite #609! VDB’s Distribution Manager Zach Vanes, and Marketing and Development Manager Emily Eddy will be in attendance and available for meetings. Contact Emily at emily@vdb.org, and Zach at zach@vdb.org. Thursday, February 22nd, 6.00 p.m. In 2011, New York-based filmmaker, DJ, and traveler Ephraim Asili began an extraordinary series of films on the African diaspora. These films—Forged Ways (2011), American Hunger (2013), Many Thousands Gone (2015), Kindah (2016), and Fluid Frontiers (2017)—bring together archival research and Asili’s travels through Brazil, Canada, Ethiopia, Ghana, Jamaica, and the United States to chart cultural connections across time and space. Fluid Frontiers, for example, explores ideas of resistance and liberation through Detroit’s Broadside Press, one of the most important presses for Black poetry. Asili asks residents of Detroit and nearby Windsor, Ontario, to read these poems without rehearsal, potently collapsing history, contemporary politics, and art through their magnetic performances. In earlier works like American Hunger, Asili knits together images from downtown Accra, Ghana’s coastal slave forts, and the Jersey Shore in an effort to understand his own relationship with Western colonialism and US imperialism. Ephraim Asili’s films have screened in festivals and venues all over the world, including the New York Film Festival; Toronto International Film Festival; Ann Arbor Film Festival, Michigan; San Francisco International Film Festival; Milan Film Festival, Italy; International Film Festival Rotterdam, the Netherlands; MoMA PS1, New York; The Museum of Contemporary Art, Los Angeles; Museum of Fine Arts, Boston; and the Whitney Museum, New York. As a DJ, Asili can be heard on his radio program In The Cut on WGXC, or live at his monthly dance party Botanica. Asili currently resides in Hudson, New York, and is an Assistant Professor in the Film and Electronic Arts department at Bard College. VDB will collaborate with international colleagues in the Distribution Network of Artists’ Moving Image Organizations (DINAMO) to present the program Originals, a collaborative showcase of video art and experimental film. 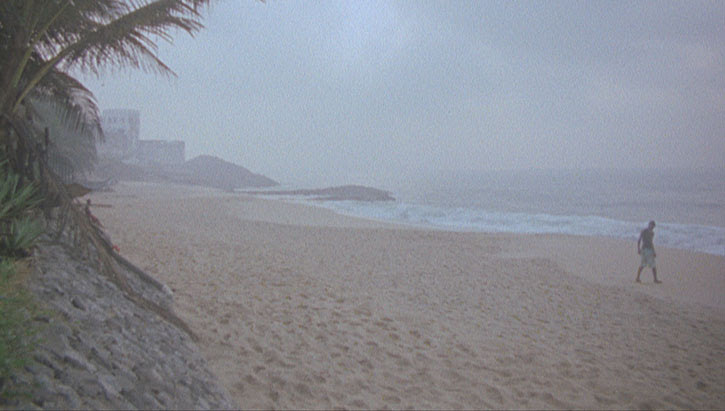 VDB’s contribution will be Sara Magenheimer‘s MICKRYS (2011), a video about two fictional characters, as in letters, and two fictional characters, as in anthropomorphised mice, falling in love. Sara Magenheimer will be in attendance at Saturday’s screening. VDB will also collaborate with DINAMO colleagues to present the program Black & White. Sadie Benning‘s Living Inside will screen alongside other experimental media works. A multifaceted contemporary African and African-diaspora cinema with special focus on the history of the Pan-African movement as captured in film, featuring Ephraim Asili‘s Fluid Frontiers (2017). The fifth and final film in an ongoing series of films exploring Asili’s personal relationship to the African Diaspora. Shot along the Detroit River, it explores the relationship between concepts of resistance and liberation exemplified by the Underground Railroad, Broadside Press, and artworks of local Detroit Artists. Memories make us who we are. These filmmakers open up perspectives that allow us to come to terms with our memories, hold on to them or bring them back to life. Sky Hopinka‘s Anti-Objects, or Space Without Path or Boundary (2017) takes inspiration from the ideas of the architect Kengo Kuma, who suggests looking at everything as “interconnected and intertwined”, the filmmaker weaves connections to the Chinookan people who inhabited the land around Portland with audio tapes of one of the last speakers of chinuk wawa, the Chinookan creole. Commodification is the transformation of goods, services, ideas and people into objects of trade. Some things ought not to be treated as commodities – education, information, data, knowledge and art. Deception emerges as the central theme in Sara Magenheimer’s video Art and Theft (2017) that grapples with the constructed nature of storytelling. As a deer raids a house, a playful collage of images on theft taken from paintings, the internet and film history distract us from the maliciousness of the act of stealing. Video Data Bank is proud to present the pioneering work of bio artist Eduardo Kac. Telepresence, Bio Art & Poetry is a three-disc box set featuring art works that expand the limits of locality, light, and language. Included is a 119-page monograph containing seven essays that investigate and elaborate on how Kac uses communication processes, biological life, and digital networks to create works that explore fundamental human experiences such as the fluidity of language, dialogical interaction, and awareness of our relative place in the larger community of life. The release of this box set will allow access to groundbreaking work never before readily available to audiences worldwide. This November we are delighted to be participating in the inaugural Chicago Art Book Fair as a vendor and programmer. The CABF is dedicated to showcasing emerging directions and diverse legacies within small press arts publishing. The fair features an international group of over 100 arts publishers, small presses, book artists, comics artists, zinemakers and printmakers. The fair will take place over the course of three and a half days from November 16th-19th, and will also feature satellite programming and after parties. CABF is free and open to the public. Stop by booth 114 and say hi! We will be selling books and media from artists in our collection, as well as some fabulous VDB swag. Additionally, there will be a special screening of recent VDB acquisitions, Saturday 18th at 5.30pm. The program features work screened at the 63rd International Short Film Festival Oberhausen (Germany), including groundbreaking new releases from Nadav Assor, Sky Hopinka, Kent Lambert, Dana Levy, Jessie Mott & Steve Reinke, and Martine Syms.